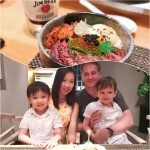 GRUB @ BISHAN PARK | Beverly's Net: family. food. fashion. 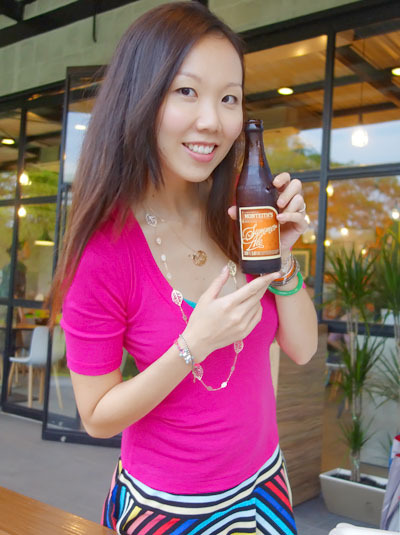 GRUB @ BISHAN PARK – Beverly's Net: family. food. fashion. It’s absolutely ridiculous how long I have waited for this to happen. Six years? Seven years? Maybe more? I still remember, a decade ago, when Chef Mervyn was not a chef, but rather a normal guy working in an office (not that he isn’t normal now.. you get what I mean!). He had a HUGE passion for cooking and would whip up all these fancy rah rah dishes for us. Chris and I would always eagerly look forward to our holidays to Singapore, and quietly hope and pray we would be treated to one of his meals. And back then, I always said “I wish he had a restaurant, then we could go all the time!”. And it was always Mervyn and Amanda’s dream. Guess just about everyone knows about Cookyn, a cooking party extravaganza first concocted by Mervyn and Amanda.. which grew to a bonafide successful business owned by multiple partners. Well, it’s the same guys that have opened GRUB. How did it come about? About 2 years ago, Mervyn and Amanda were in the USA. 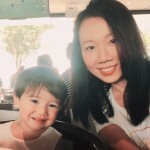 They saw the plethora of family-friendly, responsible cafes that cooked with real ingredients (that you would use in your own kitchen), at a wallet-friendly price. 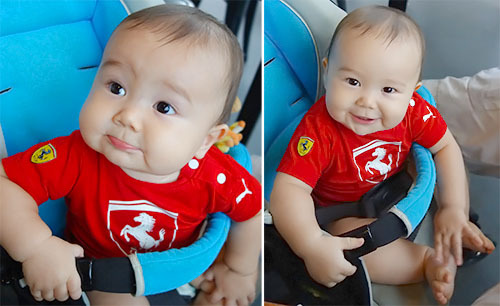 They and their two friends (and co-owners), Dexter and Kelvin, wanted to do the same in Singapore. And… ta da! GRUB. Over a year in the making and this gem is now ready for business. 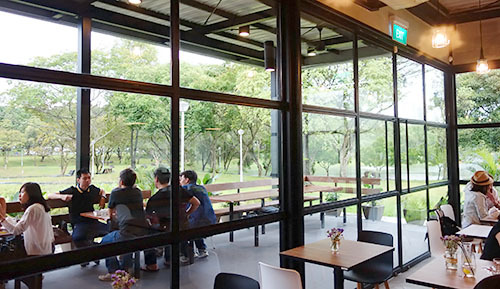 It’s located in the beautiful and green Bishan Park (hello gorgeous views) and is a stand-alone cafe that they built from the ground up. It’s SO GORGEOUS. Half outdoor and half indoor, it doesn’t feel like Singapore, but more like Australia when we used to eat at little cafes dotted around a park. 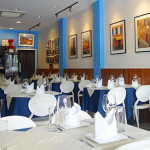 50/50 indoor and outdoor dining. I’ll be frank, it’s way prettier sitting outdoors if the weather permits! A compact kitchen churning out a ton of great dishes. And lookie – there’s Mervyn himself right there! 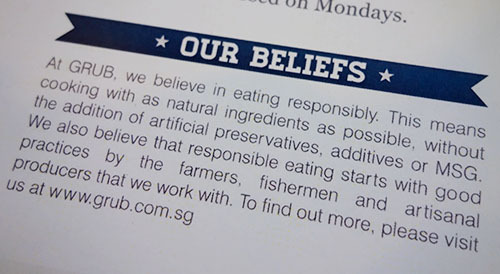 The entire premise of GRUB is: Responsible Ingredients. 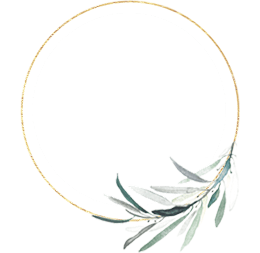 Inspired Menu. Delicious Food. Did you know that in most cafes in Singapore and other countries, when you order food like mashed potato, it comes in powder form in a packet???? 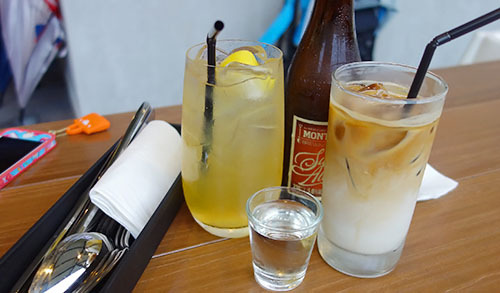 The cafe simply mixes it with water and voila! There’s your mashed potato. So happy to learn that at GRUB, they only cook and serve what they would with their own families. That means REAL potatoes, and REAL ingredients. Nothing reconstituted, no preservatives. 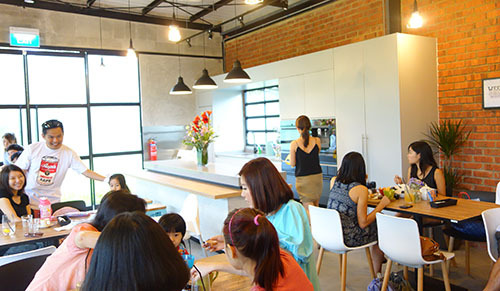 The headache that the kitchen has is to churn out good food made from FRESH ingredients asap.. but the waiting time is actually not longer than any other cafe. Anyway! A good ‘ol beer to start off! 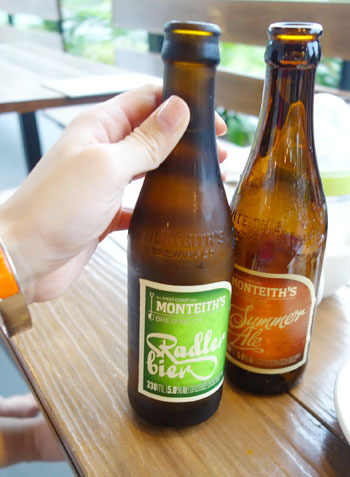 This one was Monteith’s summer ale from New Zealand. I liked it because it tasted more like fizzy ginger ale than beer 😛 Sooo good icy cold. If you’re a mussel kinda person, you’ll be pretty astounded at how tender and plump these ones are. 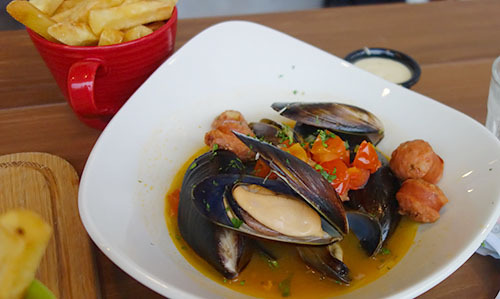 The Tasmanian mussels and chorizo stew with fries and aioli came in a dish swimming in very nice broth (I wish it was served with some baguette to mop up that tasty broth!). So here is the thing: I have a relatively big-ish appetite. If I had ordered just this dish, it wouldn’t fill me (this is why I rarely order mussels as my main, unless it’s all-you-can-eat). I pointed this out, and was told that these aren’t the (much cheaper) green-lipped mussels, but blue-lipped mussels air-flown from New Zealand which are a lot more expensive. So this is a case of paying for quality over quantity. But just warning you, if you are a big guy or have a big appetite, you’ll need to order an appetizer as well to fill you up! 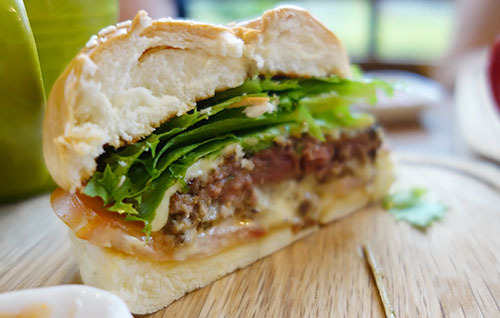 The GRUB cheeseburger with 100% freshly minced beef patty, monterey jack cheese is so cheap for a very solid and good burger. Good value for money. The bun is really nice, so picture-perfect it looked fake! Very fluffy and held together well. 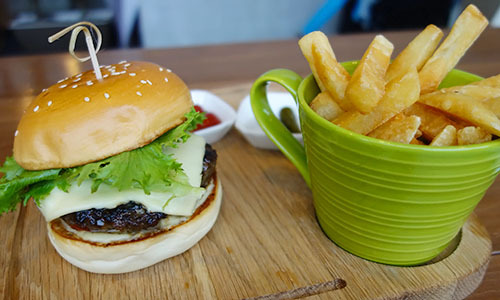 I really liked the beef patty – it didn’t have weird bits in it (oh my goodness how I hate it when you bite into a burger and there’s something like part of a horse’s hoof in there) and was juicy and with an excellent more-ish beefy flavour. I enjoyed the fresh lettuce too, which was all uniformly green and crisp. I point this out because sometimes other burger joints serve browned or mushy lettuce which freaks me out. 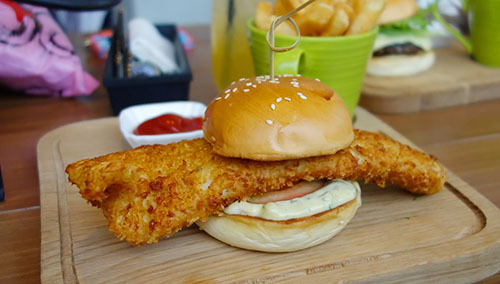 I giggled at the hilarious-looking Crispy fish burger with crumbed hake fillet and remoulade. Just look at it! Hahahha!! It’s basically fish & chips, playing hide-and-seek inside a burger bun. The fish was moist and beautifully crumbed, and the creamy sauce was spot-on. What more can I say? This was good and great value too. Beef & Guinness pie with mash and side salad. I DON’T EVEN KNOW WHAT IS RIGHT AND WRONG IN THIS WORLD ANYMORE. Chris and I were speechless when it arrived. This dish, it did NOT look like a beef & guiness pie! We were expecting a regular-looking pie, or perhaps a pot pie. But this…. this was a large disc of puff pastry that was absolutely sagging under the weight of the big chunks of melty-soft beef, and carrots/potatoes/etc. It was smothered in rich gravy and topped off with gooey mashed potato (made from potatoes in the kitchen, not from a packet!). It was just insane to see. It just LOOKED so good! 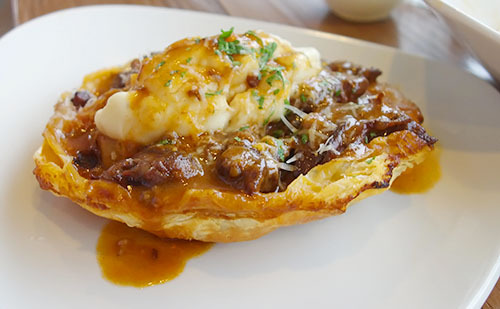 And I don’t even know how to describe the taste… except just think buttery puff pastry, rich flavourful gravy, and loads and loads of ultra tender braised beef. My goodness. PARTY IN MY MOUTH. And so their Beef & Guinness Pie is, hands down, A MUST-ORDER DISH. We are most definitely always ordering this baby, and then another main from the menu. We didn’t have the stomach space to eat our way around their Dessert menu *sadface*. However, we have already tried GRUB’s churros and let’s just say they are splendid. Chris is a churros connoisseur and he really rates these. 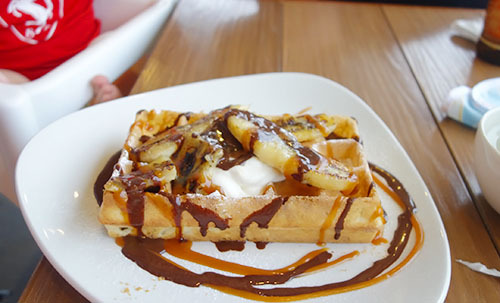 But we did order the Belgium waffle with salty caramel, grilled bananas and dark chocolate. Reasonably priced for a nice chunk of fluffy crispy waffle with toppings. It came out… errrrr.. rather messy, though. Like someone in the kitchen had an epileptic fit as they were ‘dressing’ the waffle with the grilled bananas and sauces. The waffle was deliciously crisp outside yet soft on the inside. It came with a dollop of rich cream, and I LOVED the swirl of fresh salty caramel (ie. not out of a squeeze bottle from the supermarket) – it went so well with the dark chocolate sauce! I actually am not huge on fruit on my desserts but I appreciated that they were grilled bananas and not just plain ‘ol fresh banana slices (sooo boring). And so I end this monster review of GRUB. 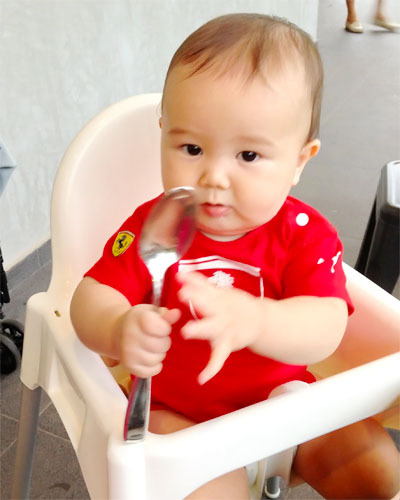 It’s a super duper family-friendly cafe, which gets a major thumbs up from me. 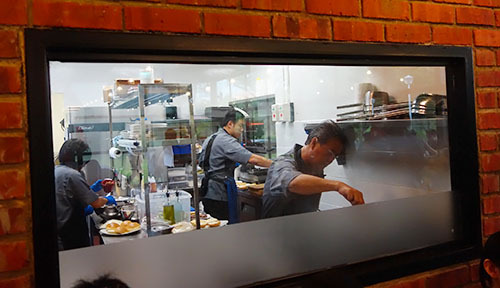 I really like the outdoor greenery-all-round vibe of the place, as well as how the ingredients are all fresh and thoughtfully put together (I know very well how Mervyn places so much heart and soul into his craft). The thing I’m really scratching my head about is how they’ll cope with the crowds. The place is surprisingly small! 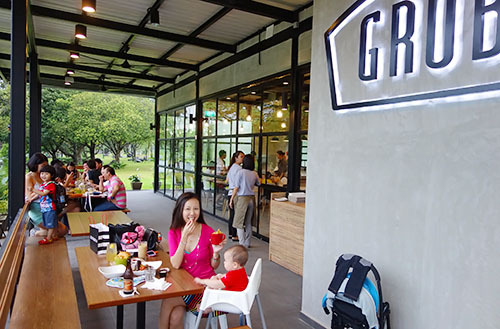 I can imagine it’s going to be gob-smackingly PACKED on weekends.. since families will love to go there for a casual brunch and let the kids run around in the park. You can add GRUB on Facebook to keep track of events and such, to stay up to date. 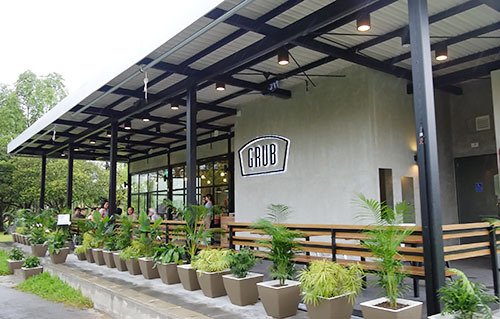 GRUB officially throws their doors open this weekend, 27/28 April 2013. 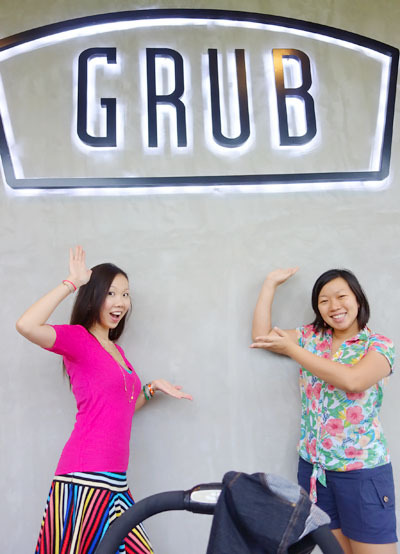 Come and be a grubber/grubette too! So going when I get back! I honestly can’t wait to check it out! and hey you wear colors really well! Yay! Congrats Amanda Ang-Phan! I have been waiting for your hubb to open a restaurant. Cookyn is great but all I wanna do is to eat. This is super awesome news! yay! another nice place near my area 🙂 will be checking it out for sure. I love the combo of good food and reasonable prices, heh! You’ll have to bring Mia there.. I think she’ll love running around in the park! yayyy! 🙂 congrats amanda! let’s go when im back from perth! Will do 🙂 Have a safe flight (in advance for Sat)! Yeah.. errrmmm I didn’t quite think that one through before blogging. Oops!! Maaaan, your description of the pie makes salivates so badly! It looks so good! 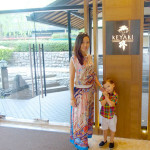 I dropped by grub with my little one and hubby this afternoon. 🙂 the food is good! I ordered the mussels and its cooked just right! The broth is so tasty! But u r right that it’s too light as a main course. Some bread or pasta will make it more filling! I will be back try the dinner mains! And the churros!